Having just seen the brilliant new poster for The Hobbit ahead of its appearance at Comic-Con next week, Guillermo del Toro’s Pacific Rim has also had its awesome first poster released in promotion of its journey to San Diego. Del Toro is behind the camera for the first time since since 2008’s Hellboy II, and the anticipation is deservedly very high for his sci-fi epic. Idris Elba, Charlie Hunnam, Rinko Kikuchi, Charlie Day, and Ron Perlman lead the cast, and all but Elba will be making an appearance at Comic-Con next Saturday. 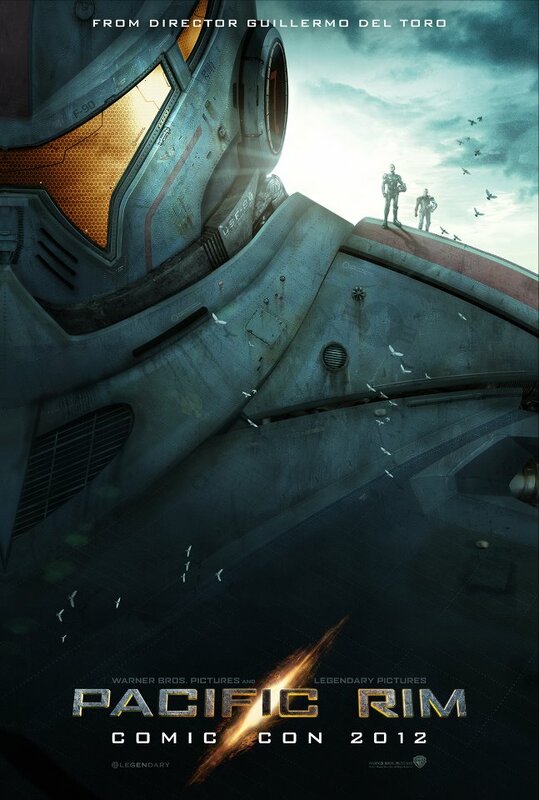 Pacific Rim is set for release on 12th July, 2013, and given the nature of the film, the studios involved, and the director, I’d say an IMAX screening is all but guaranteed. This is going to be immense. As usual with this fantastic poster, you can click to enlarge.